Are you on the fence about buying RV Insurance from a specialized company? If so, you should know that there are some RV accidents a typical insurance company simply won’t cover. While an RV Insurance Specialist will understand the ins and outs of a recreational vehicle, an auto insurance agent won’t be as knowledgeable about all the intricacies involved. There are certain instances with an RV that are significantly different than with a normal car. That’s why it makes sense to buy coverage from someone who understands RVs. After all, there are at least two major RV accidents that traditional car insurance companies won’t cover. Remember that recreational vehicles are typically used as a home on the road. This requires many amenities and accessories to be inside an RV, like a refrigerator and propane tank. This is very different from a regular car. Because of this, hundreds of RV Insurance claims every year involve an RV’s propane tank leaking or refrigerator breaking. 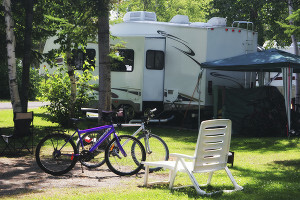 A standard RV policy may not have any coverage in place regarding damage to these amenities. However, these items are important to your RV and, unfortunately, they can cause damage to it (like fires). 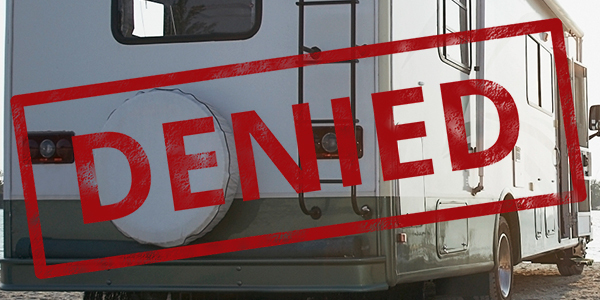 So, it makes sense to purchase coverage from a specialized RV Insurance company. Without this coverage, you will be spending hundreds or even thousands of dollars out of your own bank account to pay for any damages or repairs. There are also accessories attached to the outside of an RV, contrary to a regular car. These RV accessories are commonly damaged. They can be damaged when you forget to pull them in before driving off, or if they hit a tree or some other object. This happens more often than you might think. For new RVers, it may take some time to always remember to put your RV’s awning and steps away before driving off. Standard insurance companies regard these items as accessories so they will not cover them. An RV Insurance Specialist understands that your outer accessories, like the awning and steps, are an essential part of your RV. They can provide you with the proper coverage in the case they need to be repaired or replaced. Buying your RV Insurance from an Insurance Specialist means that you will have the adequate coverage you need to protect your investment. These policies cover everything that another non-specialized agent would allow to fall through the cracks. It’s a smart move to talk to someone that is knowledgeable about recreational vehicles, so they can bring up potential issues that you haven’t thought about yourself. To speak with an RV Insurance Specialist today about the coverage that’s right for you, call (866) 501-7335. The information in this article was obtained from various sources. This content is offered for educational purposes only and does not represent contractual agreements. Nor is it intended to replace manuals or instructions provided by the manufacturer or the advice of a qualified professional. The definitions, terms, and coverage in a given policy may be different than those suggested here. Such policy will be governed by the language contained therein. No warranty or appropriateness for a specific purpose is expressed or implied.